Now in its ninth year, Discovery’s Ignite initiative is now calling for local documentary programming pitches in the categories: Core Discovery, Turbo-Charged and Innovation. Producers are invited to submit original, ‘distinctly Australian’ programming proposals in the above categories and will be advised in April 2015 if their pitch has been shortlisted. 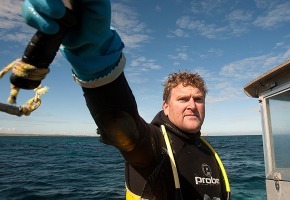 Previous Discovery Ignite successes include: Abalone Wars, seasons 1, 2 & 3, Storm Surfers Australia, Storm Surfers New Zealand, the Ultimate Fish franchise with Andrew “ET” Ettingshausen, the John Eales Reveals franchise and Rocket Compulsion. Mandy Pattinson, Executive Vice president and General Manager, ANZ, DNAP said, “We’re always excited about receiving submissions for Discovery Ignite. Each and every year has brought us new and unique Australian stories that we’re thrilled to share exclusively with our subscription television audiences. “We are proud to unearth talented documentary makers and provide them the opportunity to showcase their work on a local and international stage with Discovery Networks’ global reach, while investing in the creation of high quality, local content that Australians can trust and enjoy”. Most recently, Saltwater Heroes was commissioned with Andrew “ET” Ettingshausen discovering what it takes to make it as a commercial fisherman in a country known for its tough land, rough sea and rugged people. It is currently in production for premiere late 2015. Discovery Channel is the proud home of Abalone Wars, Shark Week, Deadliest Catch, Gold Rush, Dirty Jobs and Bering Sea Gold. We’re looking for one-off program ideas that complement Discovery Channel’s existing core content as well as showcasing distinctly Australian personalities or characters. We’re interested in personalities who immerse viewers in fascinating stories and extraordinary experiences – that build knowledge, satisfy curiosity and inspire the very spirit of Discovery. Your subject matter could take us to amazing locations, feature action and adventure, document characters overcoming extraordinary obstacles or maybe even surprise us with rare insights through a unique subculture. Ultimately, your story should have broad audience appeal. American Chopper, Biker Build-Off, Wheeler Dealers and American Hot Rod are some of the best loved shows on Discovery Turbo MAX. For all you gearheads, this is a chance to share your passion for all things fast n’ furious in a uniquely Aussie way. We’re looking for high-octane stories of remarkable people who design, engineer, invent or race the impossible. The format is open to your creative interpretation, whether it is challenge-based, character or technology driven or if it goes behind-the-scenes at some unique event … just don’t be afraid to get your hands dirty. Innovation is about showcasing the hottest trends in the world of science and technology with an Australian twist. What are the latest developments in environmental, lifestyle and technological innovations? Are Aussies creating inventions that could change the world? The content should be both topical and accessible like some of Discovery Channel and Discovery Science’s flagship programs Mythbusters and How Do They Do It?